Hating the rain and already counting down til next summer?! We've got good news for you! Thanks to our mates at Trampoline Gelato, we've teamed up for their ENDLESS SUMMER COMPETITION - and yes, that means there's prizes!! 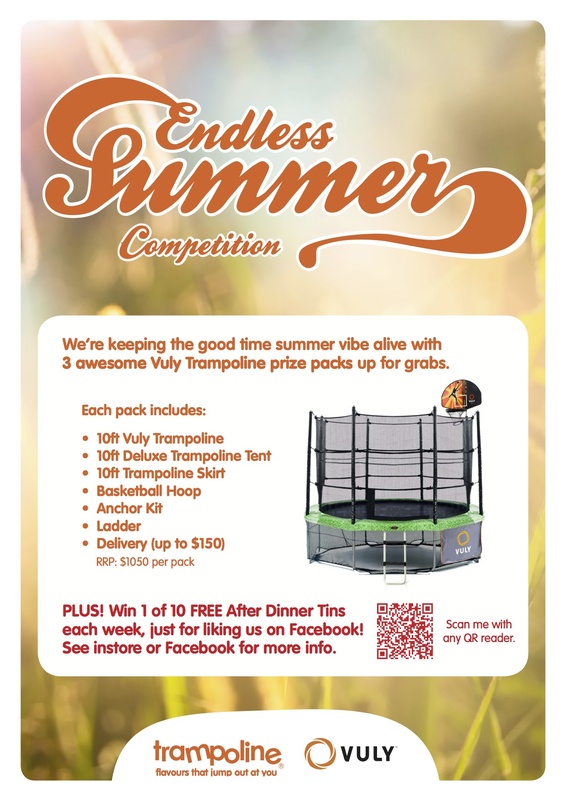 Here's another chance for you to WIN one of three awesome 10ft Vuly Trampolines prize packs. Find your nearest Trampoline Gelato store to enter, you don't want to miss out!! Apart from summer, what else do you wish was endless...?